It’s that time of year! The brilliant initiative that is Heritage Week is back. All across the country, Church of Ireland parishes are getting involved in what is a fabulous week to appreciate our country’s history and heritage. 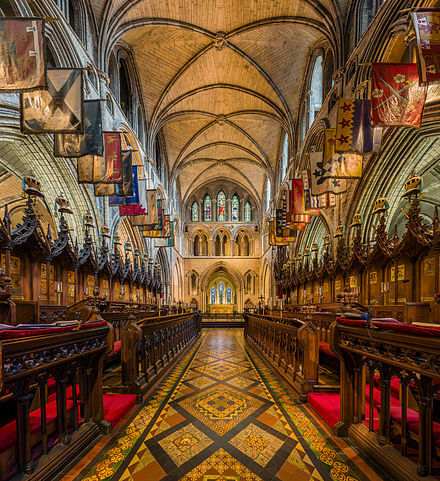 As part of Heritage Week, Albert Fenton will give an illustrated talk on the colourful history of the Order of the Knights of Saint Patrick which was closely associated with St Patrick’s Cathedral, Dublin, for much of the order’s 139 year existence. The talk will take place on Wednesday, 22nd August, at 6.30pm. It is free and anyone is welcome to attend. Albert Fenton is the cathedral historian and board member of St Patrick’s.